The Magic may have thought they were catching some momentum mid-January posting two consecutive wins. They’ve lost five straight since though allowing an average of 116 points per game, a stretch that started with a 106-96 loss at home to Memphis on Jan 16. It should be said that they’ve been rather effective at putting the ball in the basket themselves as well, but to no avail as they’ve still failed to cover the spread in five straight games. I don’t see them scoring a lot tonight, coming up against a Memphis team that ranks sixth in the NBA for points allowed and coming off two consecutive wins, allowing an average of 84.5 points. They’ve covered the spread in four straight meetings with Orlando and nine of the last 12 meetings at FedExForum. Orlando is coming straight off a demoralizing 106-99 loss against Indiana last night where they came into the fourth quarter with a seven points lead. 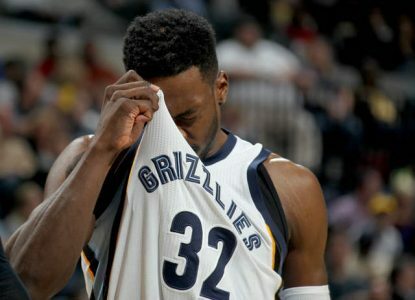 The Grizzlies meanwhile had a day off after thrashing the 76ers 101-83 Saturday. The way Orlando plays D right now won’t cut it, and we can expect the Grizzlies to run away with this game. You don’t want to miss out on Mike’s NBA 3-Pack tonight for only $49.95. Games covered are Trail Blazers@Nets, Celtics@Jazz and Nuggets@Clippers.